The Jersey Shore just got a new neighbor. At the brand new Genevieve’s, in Seaside Heights, you’ll find Italian heritage at the heart of a modern American menu. 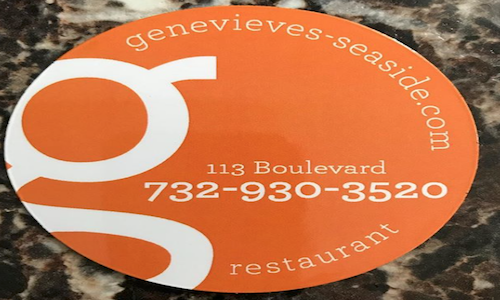 Genevieve and Karen would like to personally invite you to their new restaurant – Genevieve’s. They are proud to serve simple, good food that relies on the quality of the ingredients rather than elaborate preparation. They focus on keeping it simple and not layering on too many ingredients so the flavor of the food really stands out. Genevieve and Karen have poured their heart and soul into Genevieve’s and they’re excited to share that passion with you. Stop by to see what’s cooking today.